Lock in a great price for Dependance First Floor – rated 9.4 by recent guests! 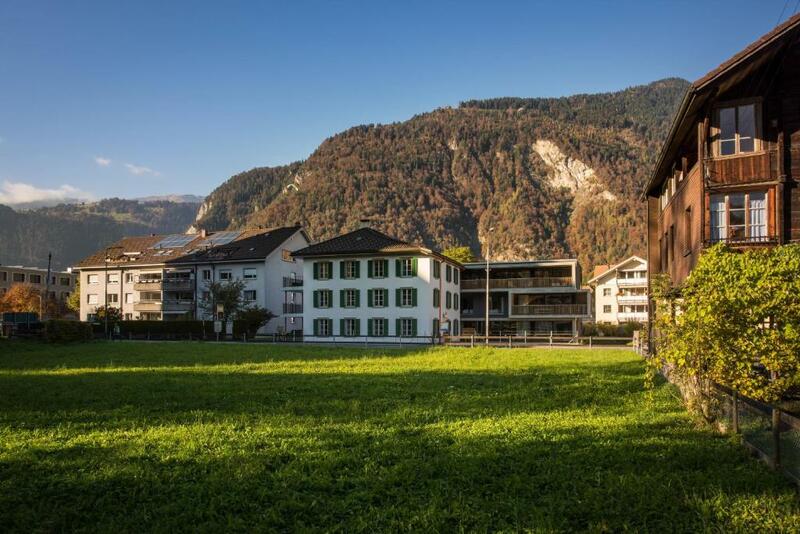 Dependance First Floor is located in Interlaken. This property is 1.1 miles from Interlaken East Port and features free WiFi. The 3-bedroom apartment has a living room with cable TV, and a fully equipped kitchen. The apartment also comes with a bathroom. Guests can use the spa center. A grill and a terrace are available at the property. Harder Kulm is 3.5 miles from the apartment. 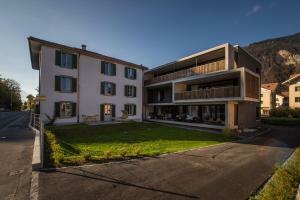 The nearest airport is Belp Airport, 32 miles from Dependance First Floor. 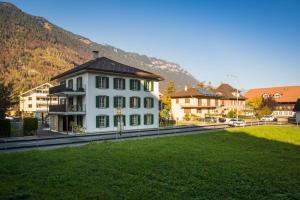 뀐 Located in the real heart of Interlaken, this property has an excellent location score of 8.9! When would you like to stay at Dependance First Floor? This 3 bedroom, 2 bathroom apartment is the first (US second) floor apartment of a recently renovated 200-year-old building. 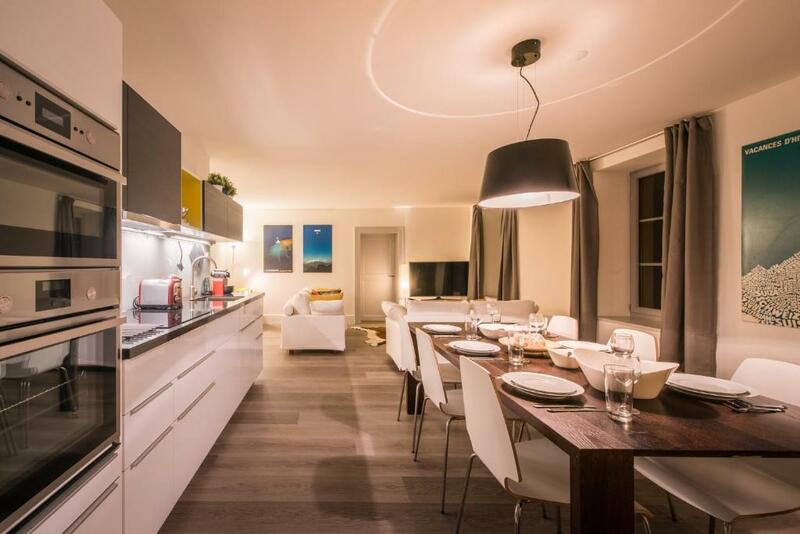 The open plan layout gives the apartment a spacious, airy feel. The living space has a connected terrace. 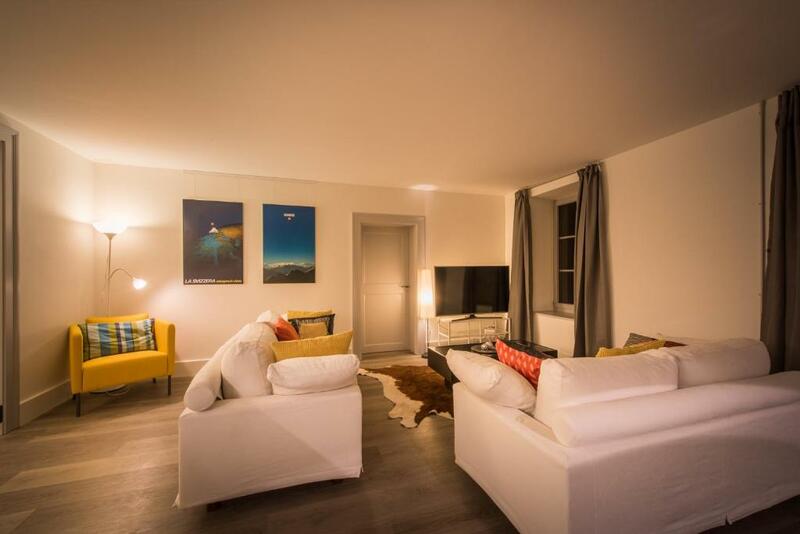 Where you can watch the sunset with views of the Jungfrau and Niesen mountains. The apartment has everything you could wish for. Comfortable seating, a well-equipped kitchen, as well as TV with Satellite and Wifi. There are two bathrooms, one with a shower and one with a bath. There is a washing machine and tumble dryer too. 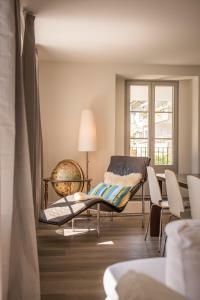 For those moments when you would like to relax, there is a wellness area which can be reserved for private use. This includes a whirlpool, sauna/infrared cabin and lounge area. If you still have some energy to burn, there’s a fitness room too. A mere five minute walk from the center of Interlaken. The (In)Dependance property project consists of a 200-year-old renovated guesthouse. As well as a modern new building built in 2016. Both buildings were built as holiday accommodation. The Dependance, a stately building constructed in 1837 was one of the first guesthouses in the area. 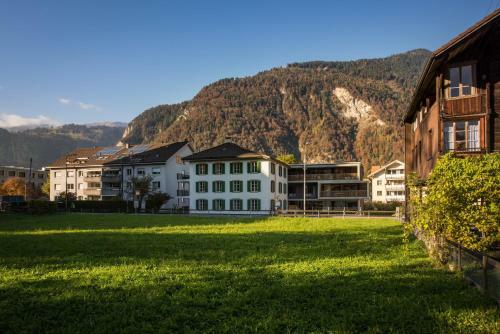 Matten is a stone's throw away from Interlaken. 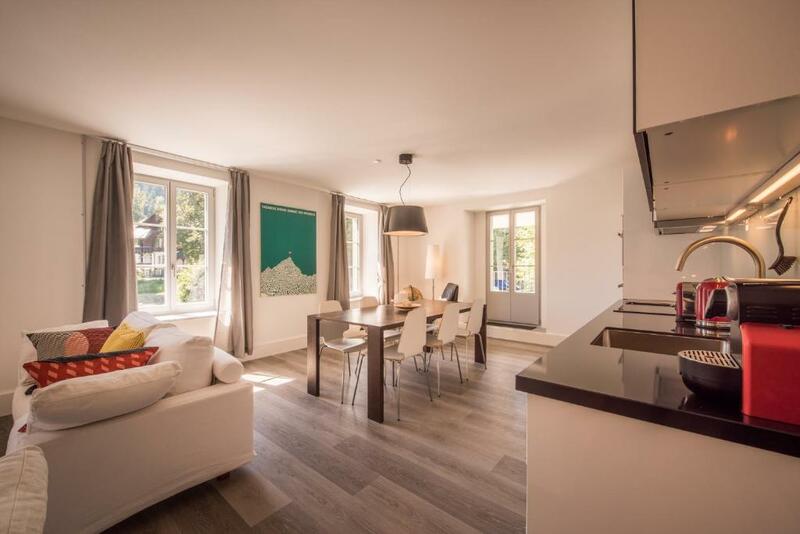 It has mountain views, it's close to shops, restaurants and bars and your apartment is just across the street from the little Rugen, a lovely forest for walks with lake/mountain views. The Jungfrau Region has so much to offer, you'll leave feeling that you have only done a fraction of what is on offer. Whether you like quiet walks, scenic drives or adrenalin sports, you'll be sure to find something to make your holiday memorable. House Rules Dependance First Floor takes special requests – add in the next step! 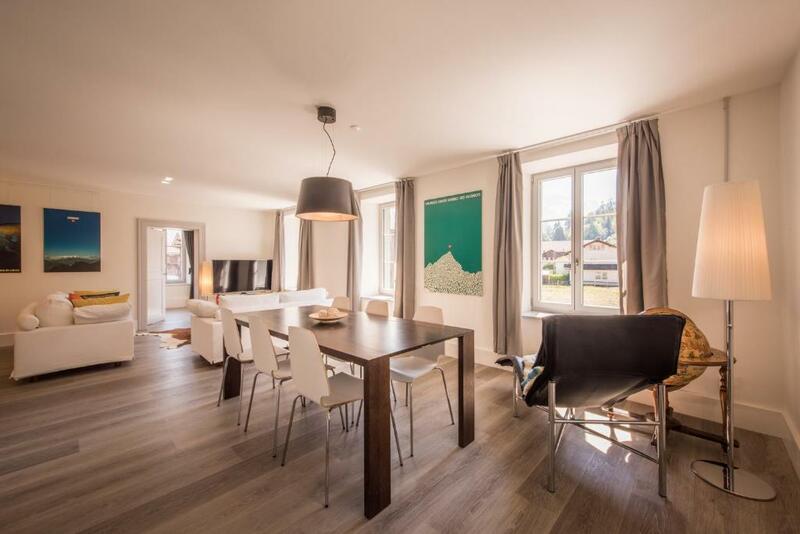 A CHF500 damage deposit is required on arrival (around USD492.22). This deposit will be fully refunded 7 days after check-out, as long as there isn't any damage to the property. Dependance First Floor accepts these cards and reserves the right to temporarily hold an amount prior to arrival. A damage deposit of CHF 500 is required on arrival. That's about 492.22USD. This will be collected by credit card. You should be reimbursed within 7 days of check-out. Your deposit will be refunded in full by credit card, subject to an inspection of the property. Please inform Dependance First Floor of your expected arrival time in advance. You can use the Special Requests box when booking, or contact the property directly using the contact details in your confirmation. ➕ It was the cutest great place, and was a real treat to stay here. Really close to the center. The decor was delightful and the apartment new refurbished loved looking at all the wonderful posters and art pieces they had up around the place. The kitchen was well equipped. The water pump was powerful and hot as much as you want. The owner was very friendly and helpful. Loved the balcony which looked up to the mountains .Was great that they had a little lift for those who needed it/mainly for large bags and wheelchairs as it was on the first floor. Wish we were able to stay longer.